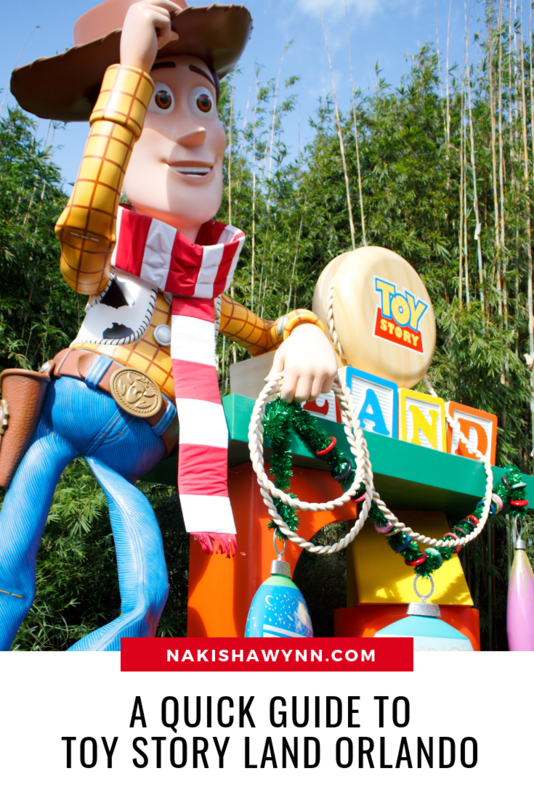 This Disney Toy Story Land Orlando post was written in partnership with Walt Disney World. I received complimentary tickets to attend Hollywood Studios. All views and opinions are my own. 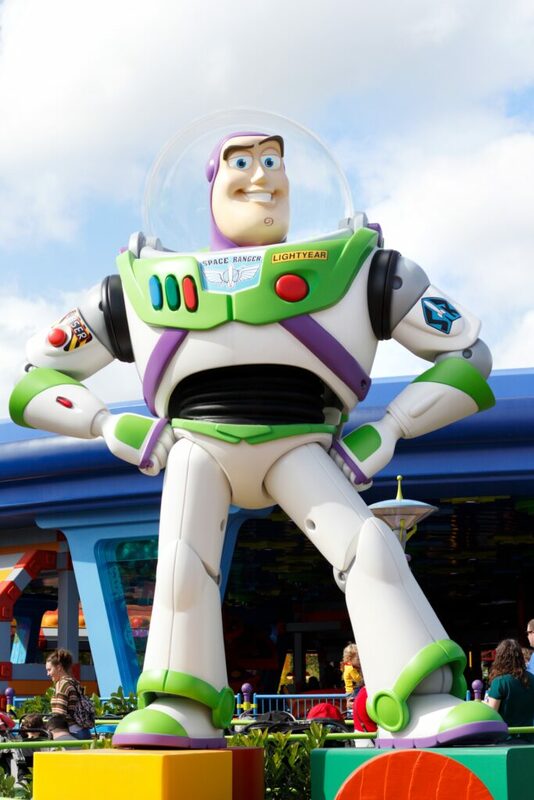 Disney has taken all the joy of the movie Toy Story and blown it up into a life sized playground. Hollywood Studio’s is know for it’s action packed themed adventures for adults but Disney has turned it’s attention to the kids. 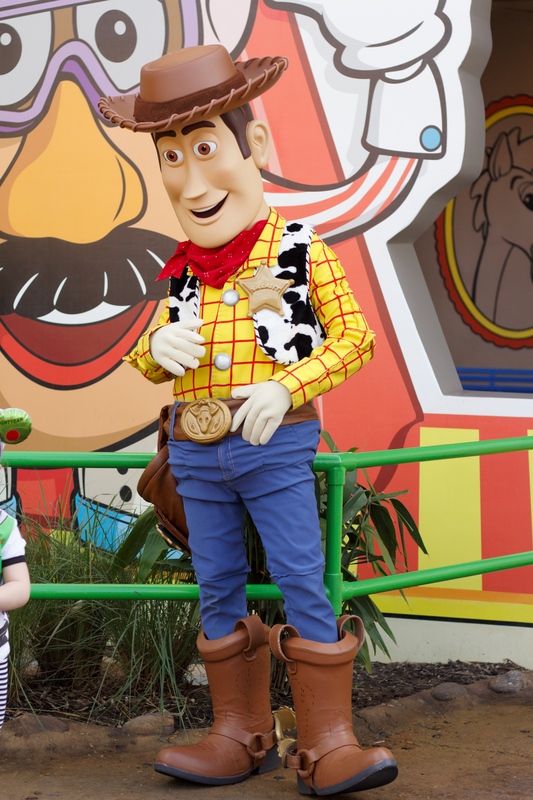 Toy Story Land is a real life depiction of the movie. As soon as you approach the themed area you are greeted by a colorful of Woody. It really is the most Instagram worthy photo opp in the area. But everything about the entire “land” is amazing. The color really just draws you in and the life sized movie characters and details will have you playin eye spy your entire time in the park. 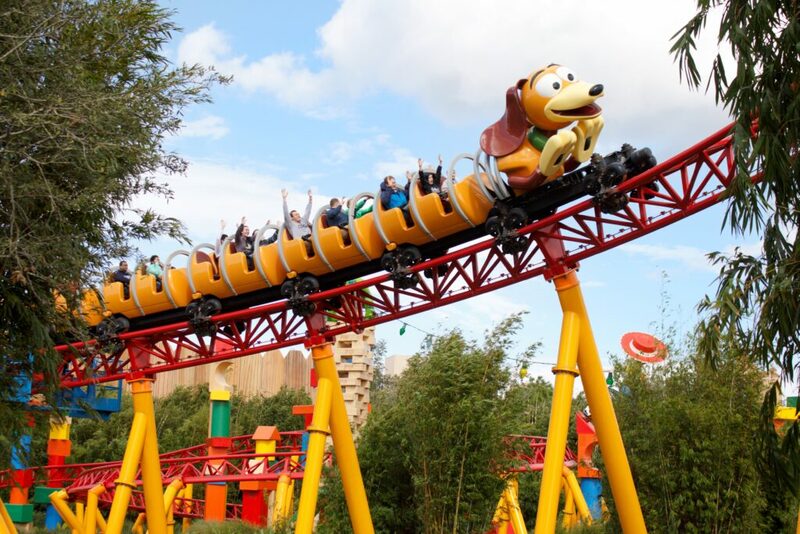 Slinky Dog Dash is the most popular of the attractions in Toy Story Land! And with that popularity expect wait times that match. 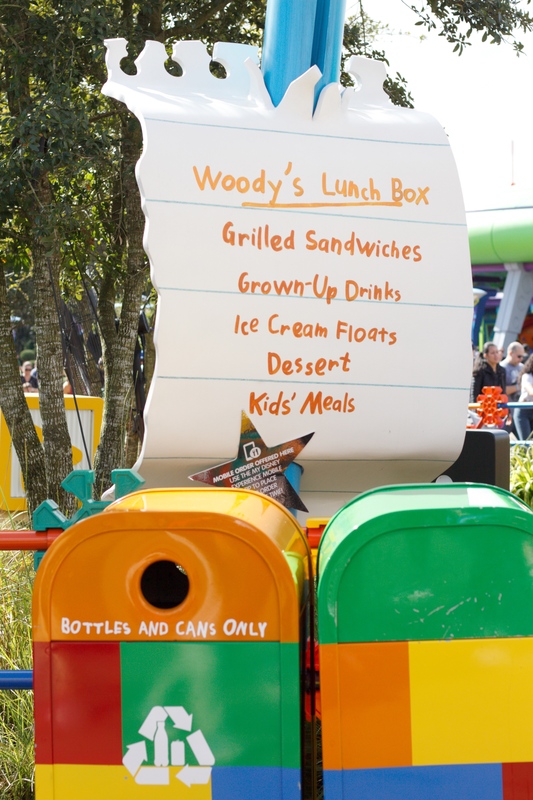 Grab a cool treat from Woody’s Lunch Box before you get in the line. 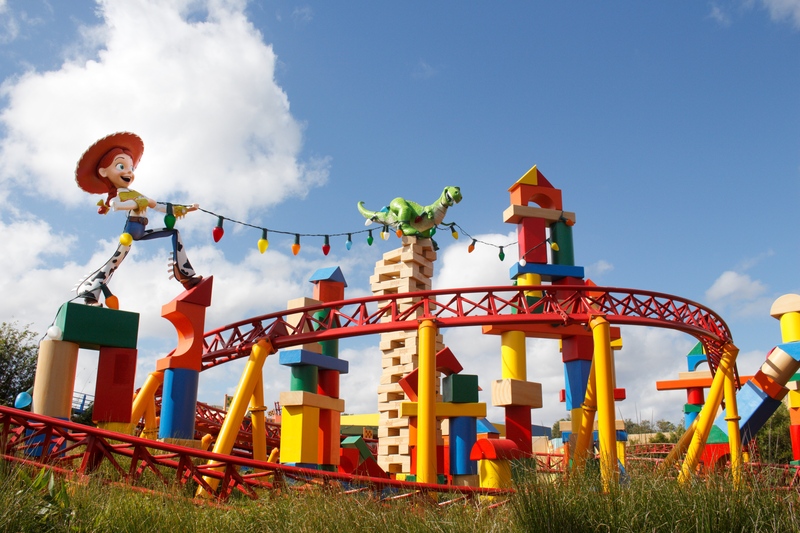 While this is a rollercoaster, it is intended for younger riders. 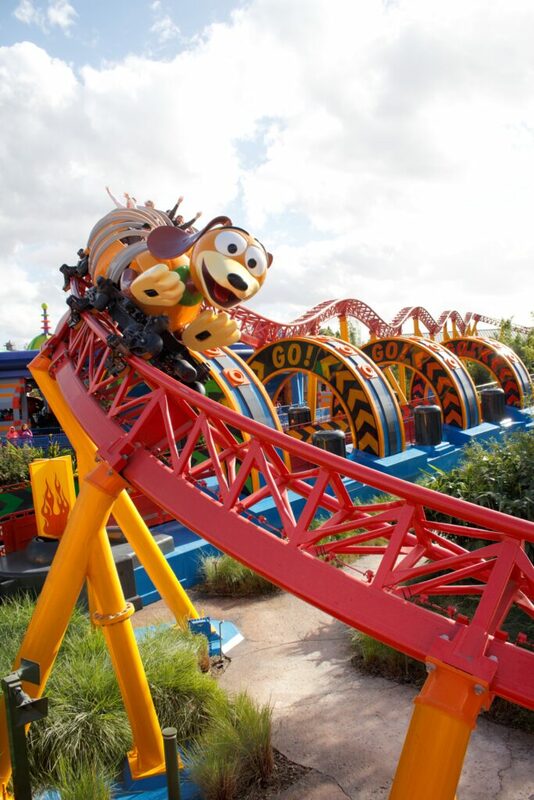 The height requirement for Slinky Dog Dash is 38 inches. So as long as your little one is 38 inches tall they can ride. My 6 year old was able to ride with no problem. Once the ride began I got a little nervous for my little one but quickly got over it. He was super excited and had his hands up and eyes open the entire time. He laughed and screamed and really had a great time. 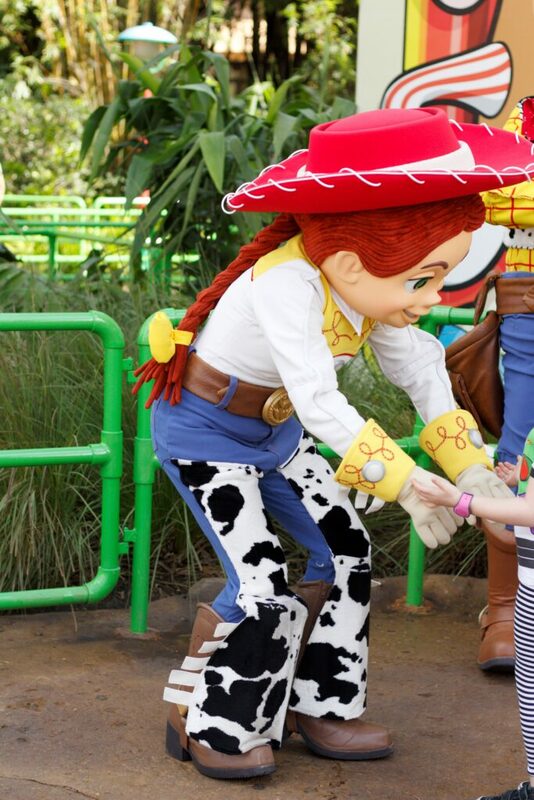 This is the perfect first time roller coaster for little ones. 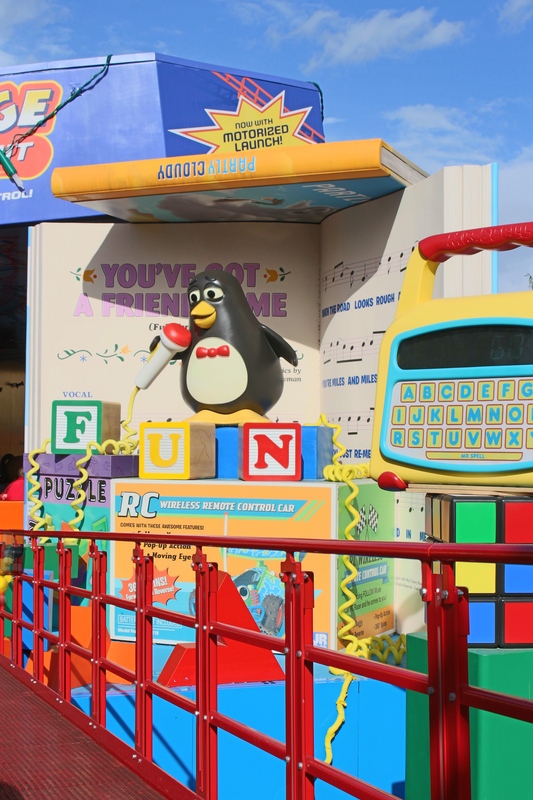 At the end of the ride we were thrilled to see Wheezy right there singing “you got a friend in me” as we were getting ready to get off the ride. It was definitely the cherry on top. 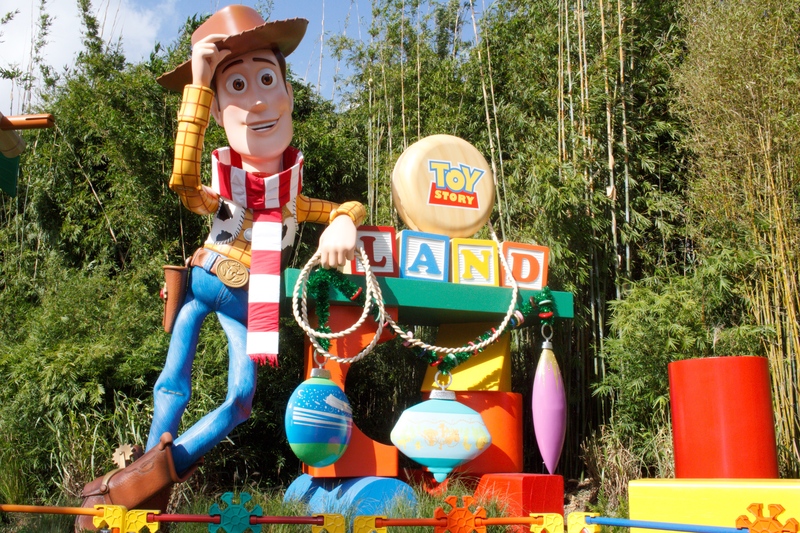 Toy Story Mania is an interactive ride and experience. This ride is a car that can hold up to 4 people at a time. 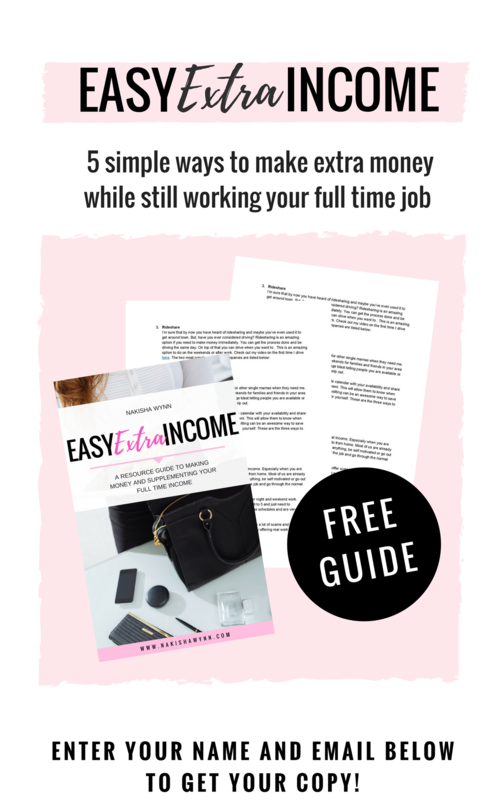 It fit me and my 3 little ones with one sitting on my lap. The ride goes forward on a track that swings you around in a circular motions and allows you to play a life sized carnival type video game. The ride cart has 2 ball launchers that you use to play the game. You are wearing 3D glasses and the objects come out to you as if you are inside a virtual reality. As you go through the ride and play the game you are actually obtaining points and challenging the other player in your cart.The 3D effect along with the interactive features made this ride an absolute hit with my kids. 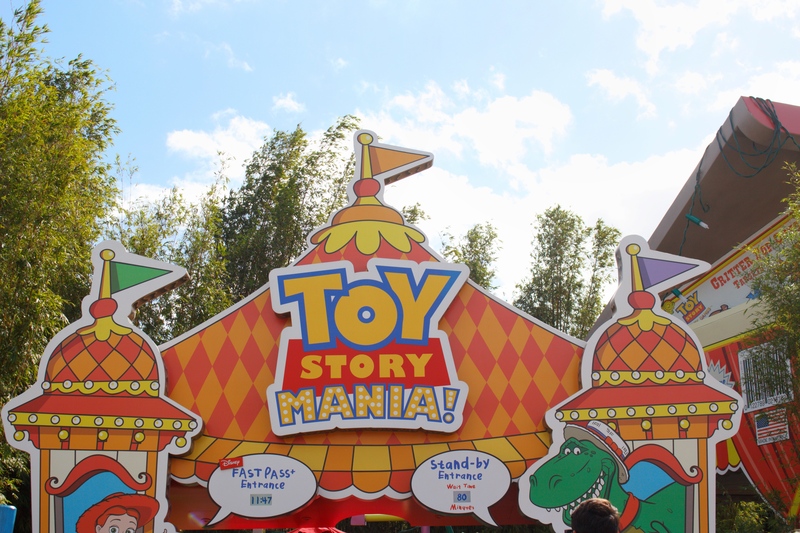 Toy Story Mania is hands down our favorite thing about Toy Story Land. 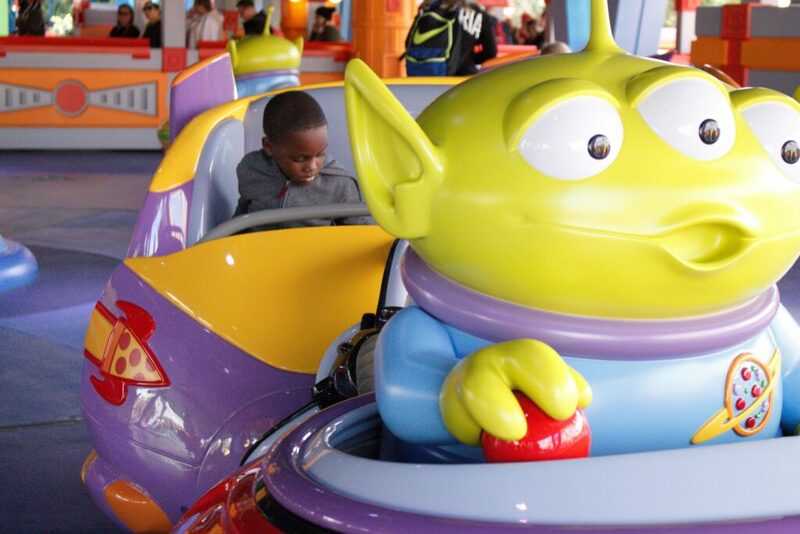 Aline Swirling Saucers is a ride based on the Toy Story vending machine aliens. On this ride two passengers get inside their alien saucers and are taken on a vigorous merry-go-round experience. However each turn has a whip effect that had me sliding from side to side on the seat. The ride is a lot like the Mad Teacups at Magic Kingdom but milder. 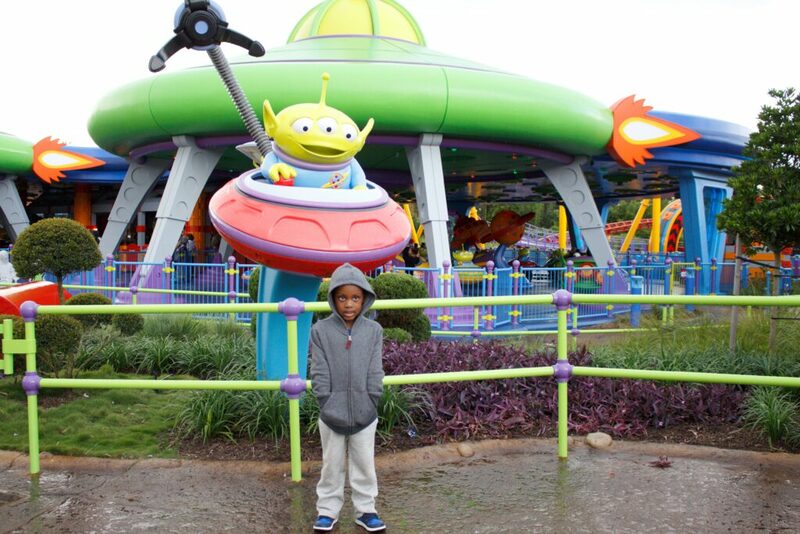 Alien Swirling Saucers is not that long but I think it is the perfect time for smaller riders. During our visit we also had lunch at Woody’s Lunchbox. The choices here were very kid friendly. 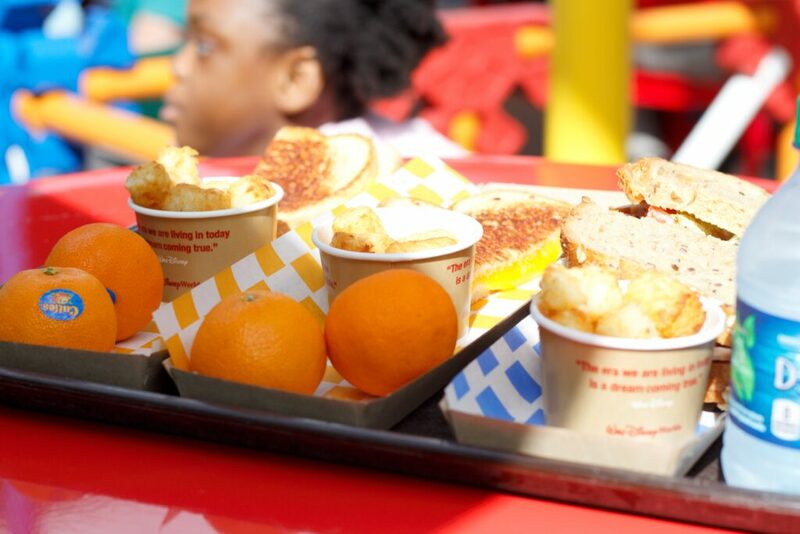 My kids were excited to see the grilled cheese, tater tots and cuties oranges on the menu. It is perfect. They also have some great adult options including alcoholic beverages. I had the turkey sandwich on rye. It was tasty and very filling. Each of the kids meals were around $8 and the turkey sandwich I had was about the same.